One of PAHO/WHO strategies applies the principles of Pan American equity and solidarity, recognizing that the countries of the Region have different health situations and needs. It addresses the Key Countries, and promotes effective technical cooperation for a group of countries identified by the Member States of PAHO as deserving special attention to reach their individual and collective objectives of health development, such as the case of Bolivia, Guatemala, Guyana, Haiti, Honduras, Nicaragua, Paraguay, and Suriname. The National and Sub-regional Coordination (CSC) Office is responsible for continuing the Key Country Strategy and organized a meeting in Washington DC, on June 17 and 18, 2017. It was attended by PAHO/WHO representatives of the eight above mentioned countries, PAHO/WHO senior managers, as well as the Directors and consultants of regional and sub-regional technical areas and Center Directors. Dr Ana Treasure, CSC Director, presented the objective of the meeting: to revise and define further actions, interventions, criteria and indicators to implement the operational Key Country Strategy plan. During the opening ceremony, the PAHO/WHO Director Dr Carissa F. Etienne addressed the audience in a video saying that “Key Countries are a challenge for all of us as an Organization, and they require collective ideas to give them attention. We need to think how we will offer technical cooperation, because it must be differentiated and should take into account the improvements these countries are making”. Later she attended the closing session in person. 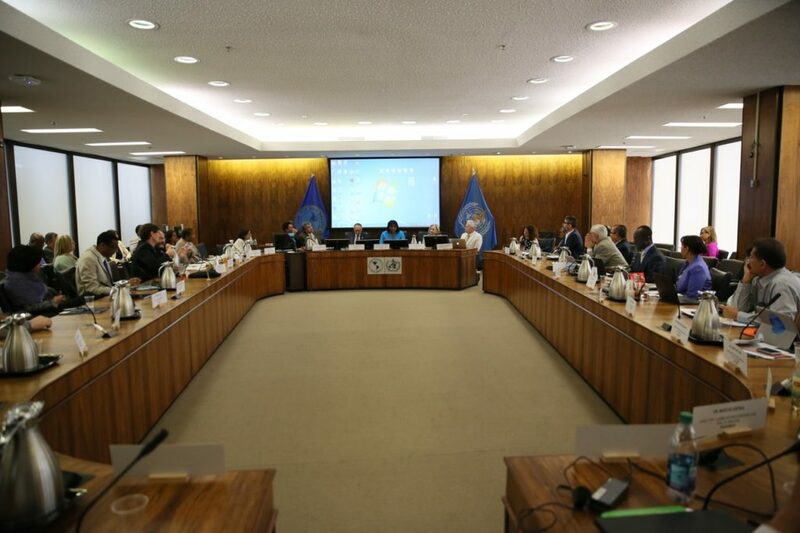 In every meeting, each PAHO/WHO representative of the Key Countries had the chance of presenting the challenges and opportunities for technical cooperation from the political, technical and administrative stand points. This served as the basis for working groups to discuss the depth of the operational plan with its themes and concrete activities to develop in future biennials. BIREME plays the role of democratizing information, knowledge and scientific evidence to contribute to the development of health in Latin America and Caribbean countries. The Center has historically been present in the Key Countries, through different actions, including: (1) the creation of National Virtual Libraries, Thematic Virtual Libraries or specific portals, such as the Indian Peoples of Bolivia VHL, or the Traditional and Complementary Medicine of Nicaragua VHL, and CARPHA Evidence portal, which gathers some countries such as Guyana, Suriname and Haiti; (2) training courses for librarians and end-users of information about the VHL methodologies, specialized literature search, LILACS indexing, as well as access, use and visibility of knowledge on health, among others; and (3) indexing of health journals in LILACS database, the largest Latin American and Caribbean health sciences literature index. In addition to these actions, it is important to mention that several of the Key Countries have been part of BIREME governance committees, such as Bolivia and Suriname, which were members of the Advisory Committee in the period 2012-2014 (CD51.R2), and Honduras was a member of the Scientific Committee from its establishment until 2017.